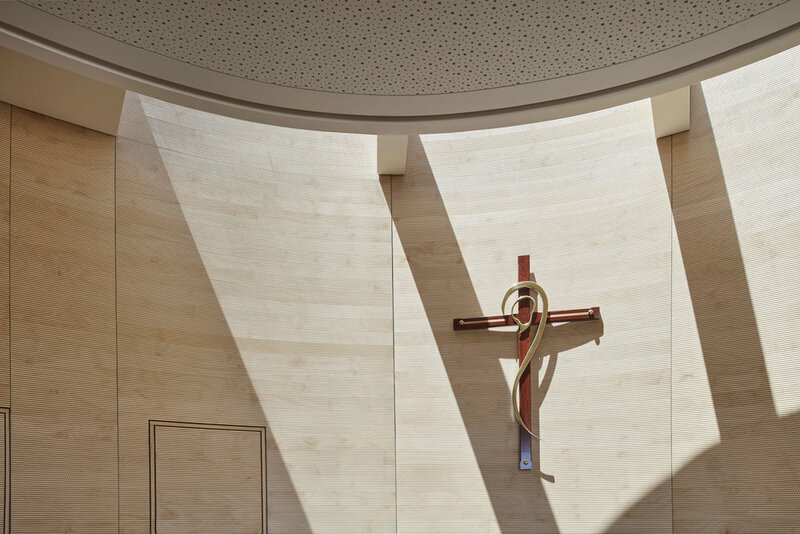 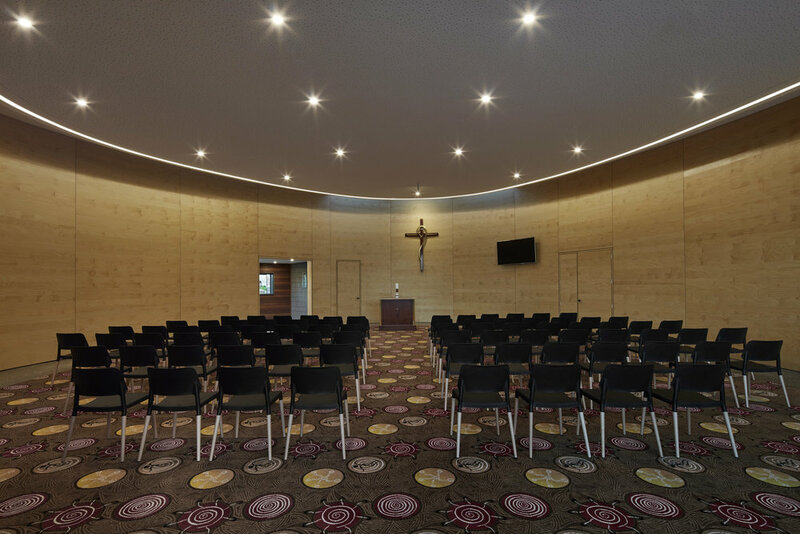 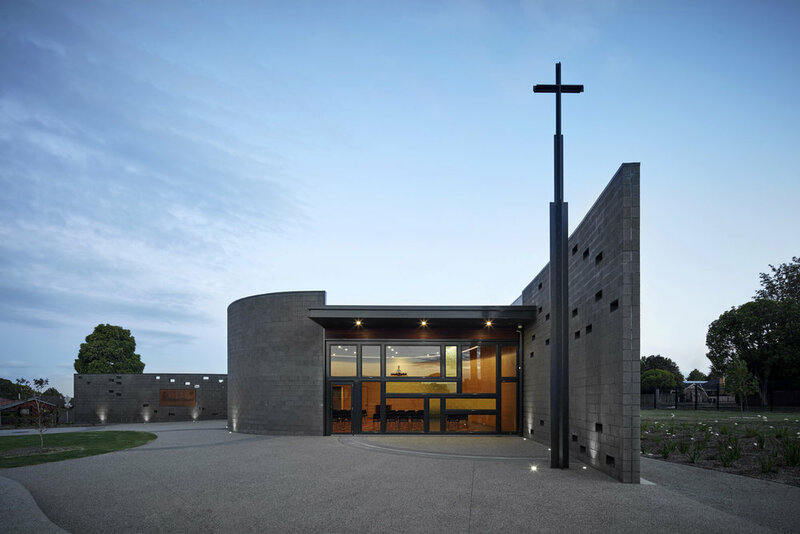 Part of the Edmund Rice Education Australia group, the Chapel will provide serve as a space for liturgical learning, mass and multi-purpose uses such as an assembly hall for the school. 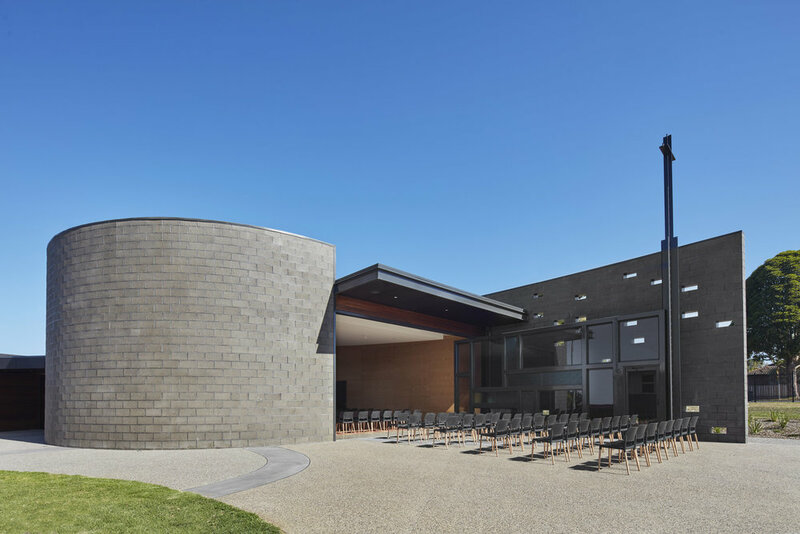 Seating 140 people, an enormous pivot hinged steel and glass 7.5m wide door opens up to external areas which allows for the expansion of seating to 240 on tiered seating. 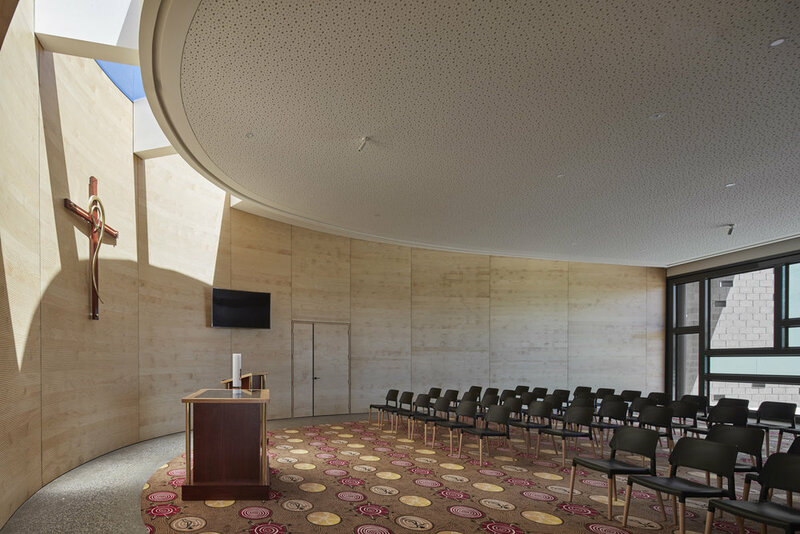 The curved interior proviedes an inviting and warm space with a natural palette of materials brought out by the light spilling in from strategically placed roof lights and windows. 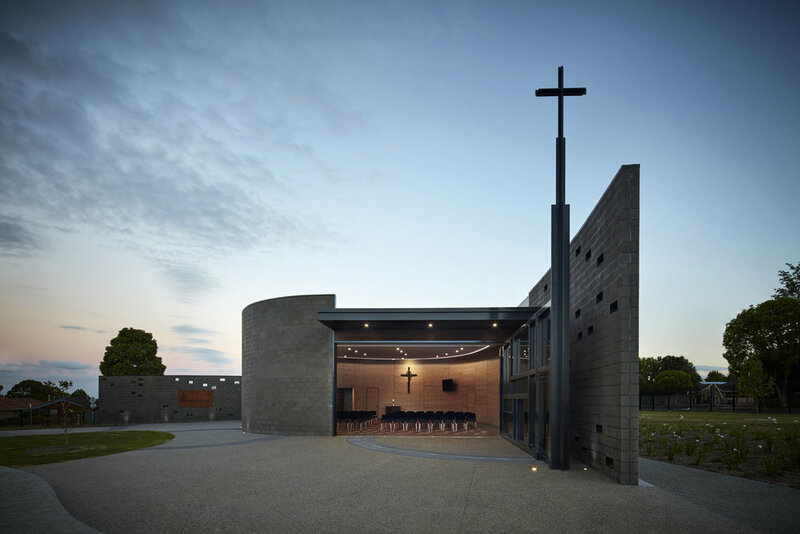 The Chapel is built on the land of the Traditional Aboriginal Owners and there is a strong link with the local Indigenous community.